The Real Beneficiary Of Corporate Tax Reform? American Workers. Reforming America's corporate tax system is important because strong businesses create jobs and pay higher wages. It is important that all Americans understand that tax reform will drive growth that benefits everyone. While nobody is going to get everything that they want in a policy debate, it is time for companies and Congress to set parochial and partisan interests aside to find a way to pass tax reform. Let’s judge any proposal on whether or not it will result in greater economic growth, more jobs and higher wages while allowing American businesses to be competitive internationally. If so, let’s get it done. It isn’t easy or simple to stay ahead, particularly in an increasingly competitive global marketplace, and national tax policy is one critical area where we are falling behind. The good news is that there is general agreement that Congress and the Administration should act, and the recent release of a tax reform framework by leaders of Congress and the Administration was an important step forward. The framework has all of the key ingredients to fuel economic expansion: a business tax rate that will make the U.S. competitive around the world; provisions to free U.S. companies to bring back profits earned overseas; and importantly, tax relief for the middle class. As chairman of Business Roundtable, a group of more than 200 CEOs of the largest employers in the country, I’ve been beating the drum to put our individual interests aside and do what is best for the country as a whole. Tax reform is important because strong businesses create jobs and higher wages. Estimates by the accounting firm EY provided to the Business Roundtable show that a competitive 20% corporate tax reduction could support the creation of as many as 2 million new jobs if the tax savings went to new job creation. According to a recent survey, 76 percent of CEOs of leading U.S. companies say that they would increase hiring if tax reform were enacted, and 82 percent would increase capital spending. That is meaningful commitment to invest in America, and will move the needle for job creation and wages in this country. Our current tax code is uncompetitive, overly complex and loaded with special interest provisions that create winners and losers. This drives down capital investment, reduces productivity and causes wages to remain stagnant. Under our current system, workers bear up to 75% of the corporate tax burden through lower wages. Tax reform can and should do more for lower- and middle-income workers by expanding programs such as the earned income tax credit, which lifted 7.3 million workers out of poverty in 2014, according to an AEI study. But a modernized tax code must also include competitive business tax rates — and a modern international tax system that doesn’t leave trillions of dollars in foreign earnings trapped overseas. Our current tax system has trapped more than $2.6 trillion outside the U.S. because American companies are penalized for bringing profits earned abroad back home. Imagine what it could mean for our country if that money (and future earnings) were free to come back to the U.S. instead of sitting overseas, boosting other countries' economies at the expense of our own. In addition, a competitive U.S. corporate tax rate would also reduce incentives for U.S. companies to relocate abroad or to be purchased by foreign companies. 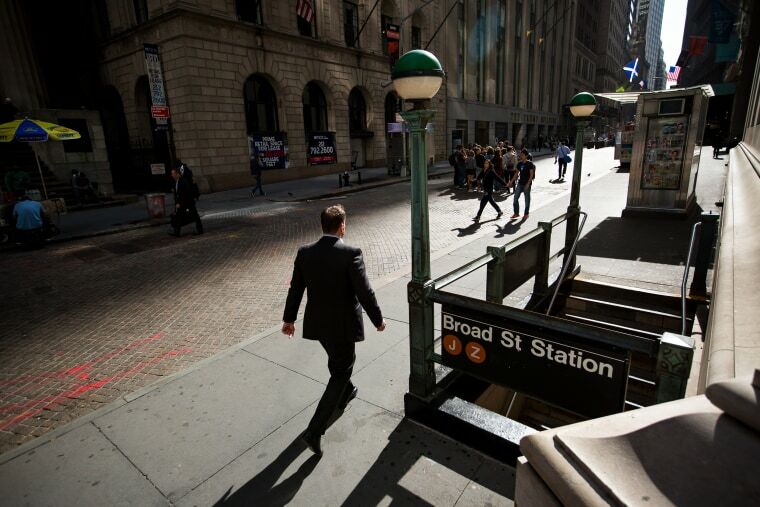 A recent study by EY, conducted for the Business Roundtable, found that, under a 20 percent corporate income tax rate, U.S. companies would have acquired $1.2 trillion in cross-border assets during 2004-2016 instead of losing $510 billion in such assets to foreign buyers. Simply put, this means that the United States would have kept 4,700 companies under U.S ownership instead of foreign ownership during the past 13 years, if they were paying taxes at a rate competitive with those in other countries that have modernized their corporate tax codes. There is a reason that it has been 30 years since we have had comprehensive tax reform in this country: It is complicated work, and navigating competing interests is hard. However, I believe in the expression that nothing worth doing is ever easy. I’m as optimistic as ever about the future of America. We have a limited window to get reform done, and this is an opportunity that America can’t afford to miss. 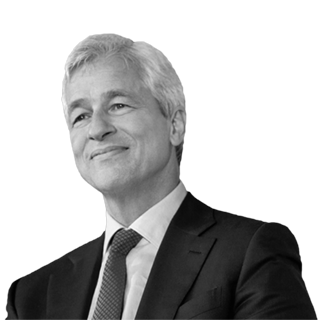 Jamie Dimon is the Chairman and Chief Executive Officer of JPMorgan Chase & Co. and Chairman of Business Roundtable.